Long ago, the Dark Ages swept over the kingdom of Myrtleness. To rid the kingdom of evil and darkness, the fire-breathing dragon, Sir Alfred, keeps guard and watches over the land. 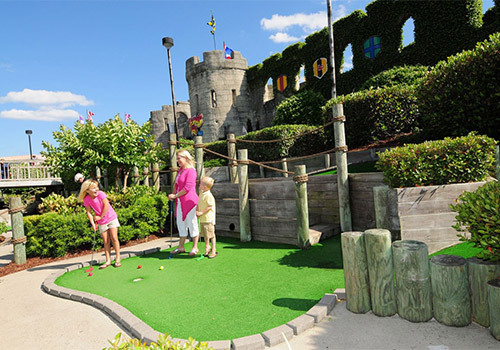 Go on a journey through the kingdom with 36 holes of mini-golf. Cross bridges and streams, explore a Viking ship, and come face-to-face with the fire-breathing dragon, Sir Alfred, himself! 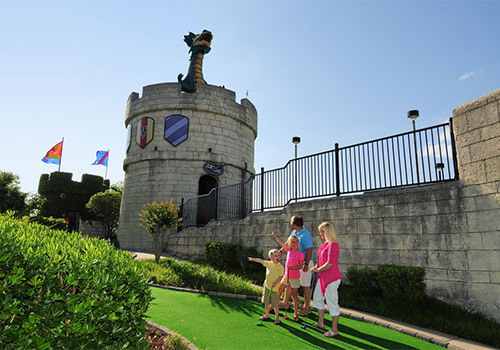 Dragon’s Lair Fantasy Golf turns the Dark Ages of the Roman Empire into fun and excitement at this Myrtle Beach mini-golf kingdom. 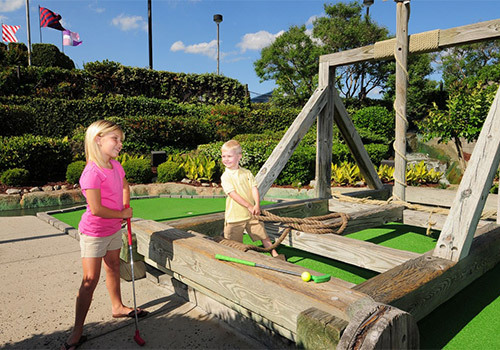 Here, villagers are our guests, putters replace swords and stones are traded for colorful golf balls as you putt your way through this Medieval challenge of mini-golf in Myrtle Beach. 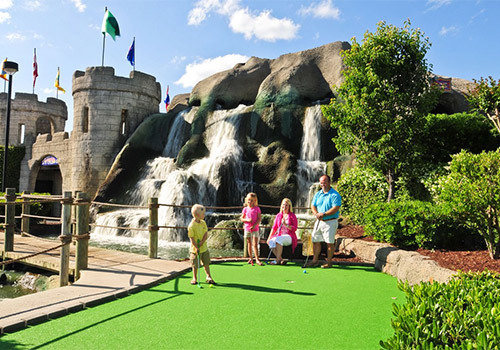 What are the hours of operation for Dragon’s Lair Fantasy Golf? 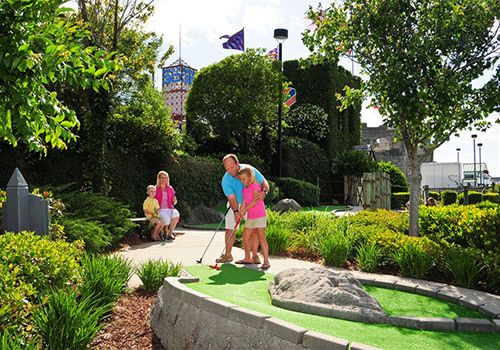 Dragon’s Lair Fantasy Golf is located at 1197 Celebrity Cir, Myrtle Beach, SC 29577.